Ghanaian Comedian, Funny Face has made some shocking revelations indicating that he and his new wife will be expecting a set of twins anytime soon. The ex-wife of the comedian made some claims somewhere September 2017 about the circumstances that led to their separation. According to her Funny face was unable to satisfy her in bed throughout the period they were married. Funny Face, on the other hand, accused her of sleeping with different men which is said to have provoked the sultry response. Funny Face claimed but for God, he would have taken his only life because of the gravity of the treatment meted out to him by the woman. But in a well-calculated response directed at the comedian, Ms. Adjoa Ntim, who described her physical features as well endowed, said the popular Trotro sitcom actor was unable to meet her sexual desires in bed, despite always making noise on air. 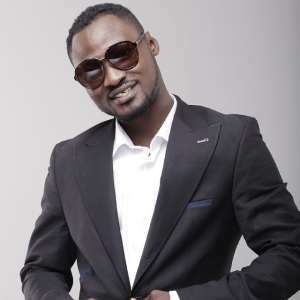 But at the annual Youth Empowerment program (iYes), Funny Face praised his ex and dropped the hint he was expecting a set of twins from his new marriage. “A big thanks to my ex-wife, God bless whatever she does, she said I was a one-minute man, but remember, the bible says he uses the foolish things of the earth to confront the wise, now I will soon prove the world wrong and is all because of her,” he said. “Thanks be to God, I don’t want to talk much here, because of a few things, but in a few months’ time, I will be expecting twins with my new wife.” He stated.